The Peacock House B&B, a 1860’s Captain’s House, sits atop a hill in the tiny town of Lubec Maine. Surrounded by flowers in the spring, with birds chirping and coffee brewing in the morning – it’s a quiet, tranquil, and beautifully decorated haven. When all 7 rooms are full, mornings become a happy, social, “small world” time for conversation over a hot gourmet breakfast. 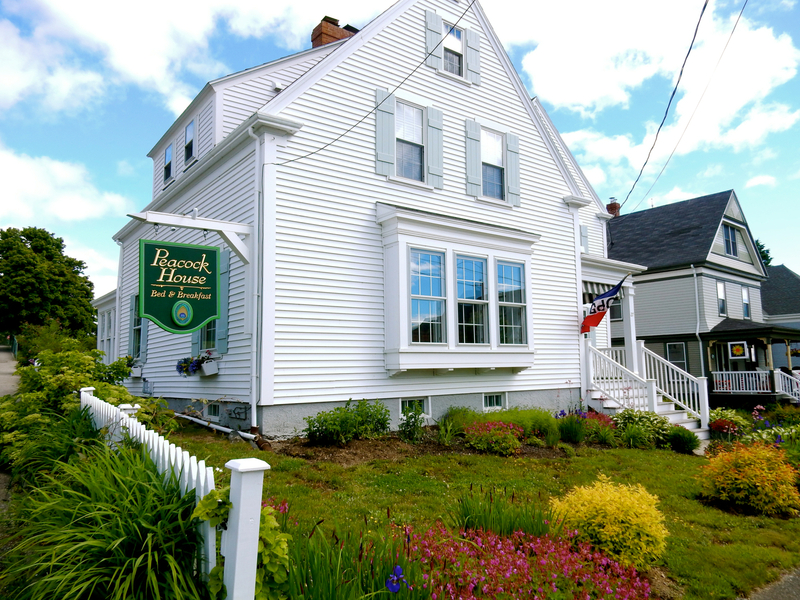 Soft-spoken and warm innkeeper, Mary Beth Hoffman, purchased The Peacock Inn (named for the Peacock family) only a few months ago, but her pride of ownership is readily apparent. She has all the reason to be proud. Common areas are lovely – bright rooms furnished in a modern, eclectic style, a grand piano and guitar in the living room (for guests to play), a library stocked with jazz and classical CD’s and books about the Roosevelt’s, and a stately dining room with illuminated glass china cases. 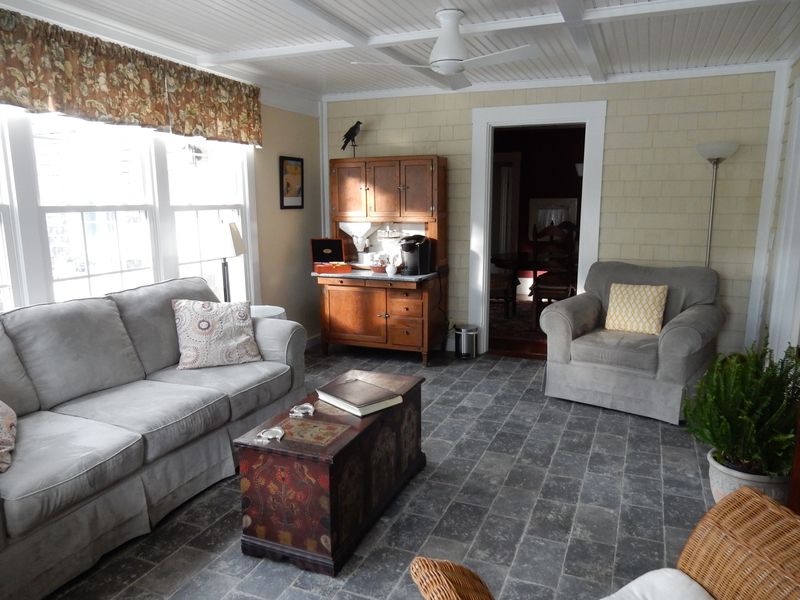 The inn fills to capacity during “Summer Keys,” so the best time to come is early June or after Labor Day when the weather is moderate and the crowds thin out. 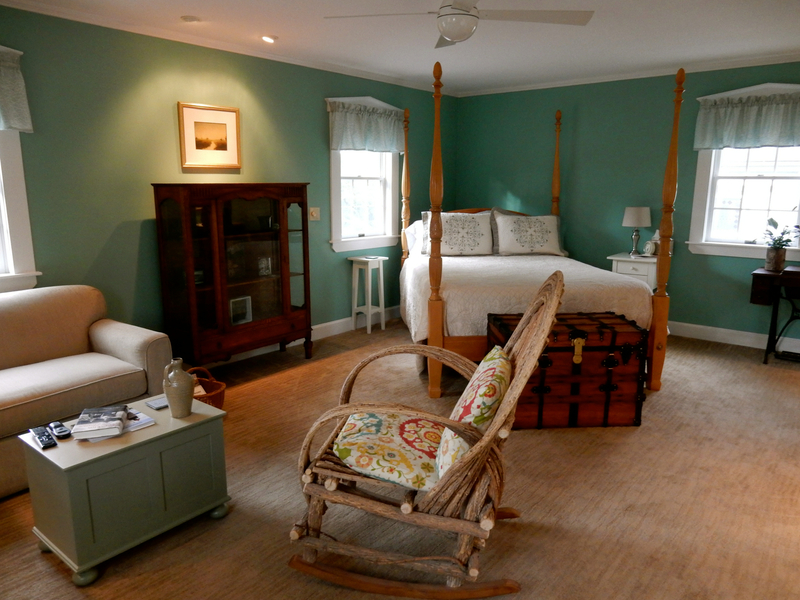 All rooms are charming and whimsical, updated with soft, comfy bedding and modern amenities (flat screen TV, fast wi-fi). 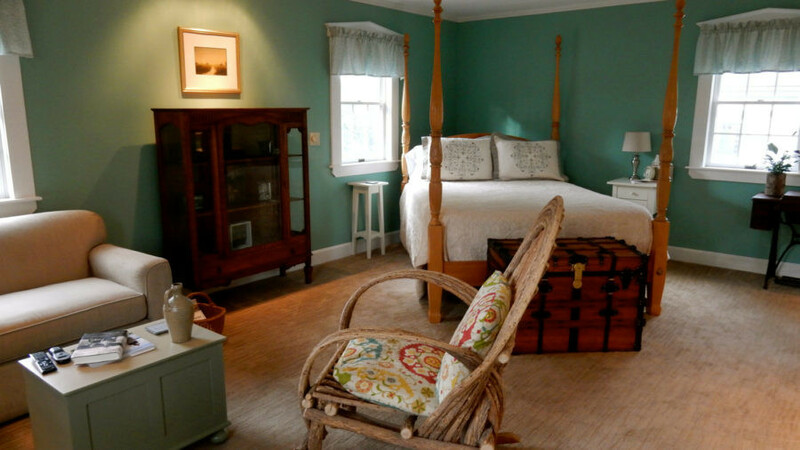 If available, ask for the Peacock suite – a large exquisite teal-walled room with carved four-poster bed, gas fireplace, twig rocking chair, captain’s sea chest, a curio cabinet, old Singer Sewing machine, and other antiques that somehow coalesce into a contemporary-country tableau. 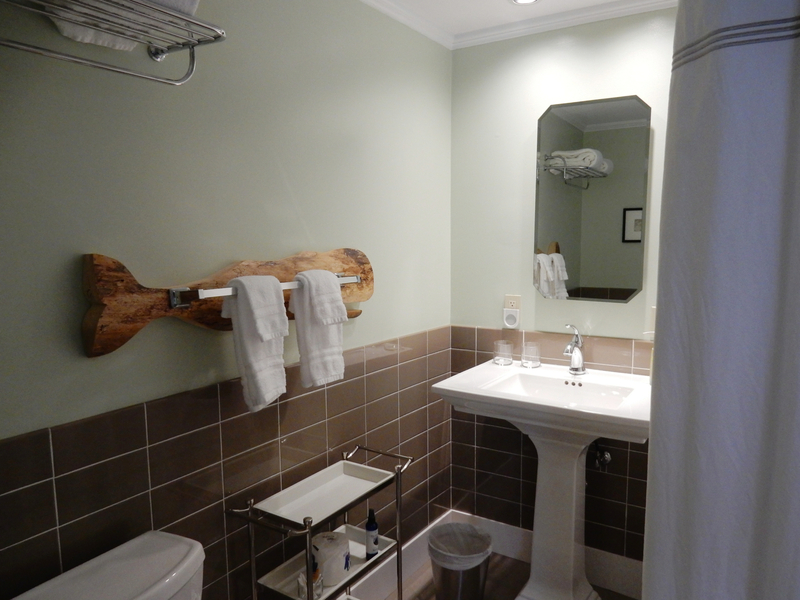 The impeccably clean, modern bathroom features a bath-shower, pedestal sink and a fantastic carved-whale towel rack made by a local artist. 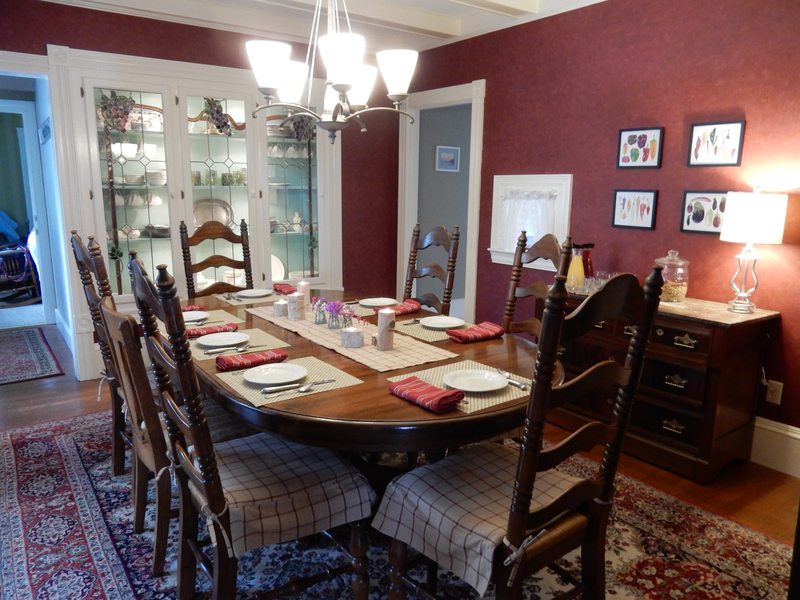 Mary-Beth serves a hot, candle-lit gourmet breakfast in the dining room, with fresh fruit to start and something sweet or savory, like a toothsome, hearty hot berry compote. Guests gather around the large stately table to swap stories and backgrounds, making for a very congenial and social meal. Rooms $105-$150 (Peacock Room $150) per night include snacks and hot gourmet breakfast for two. For a rundown of the best things to see in Lubec, Eastport and Campobello Island, find out HERE. 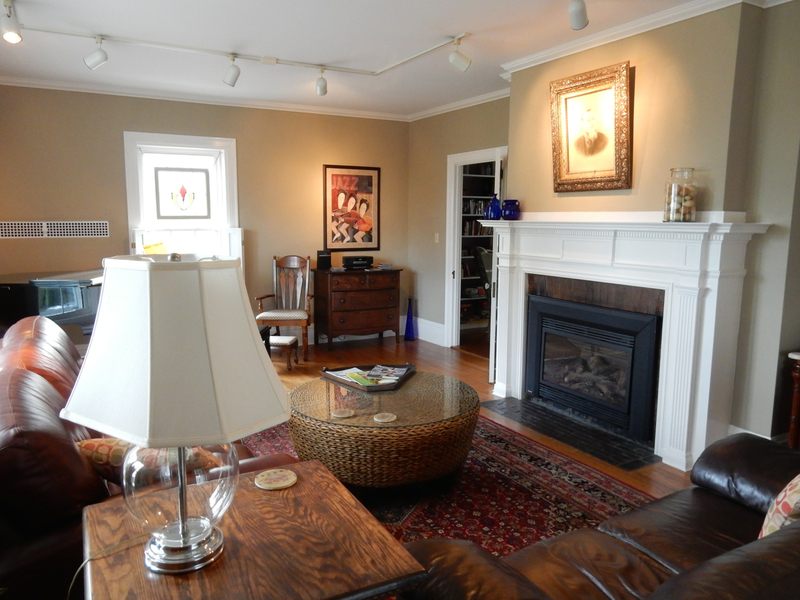 Nice looking rooms in this bed and breakfast house. I love how the colors in each rooms differ from one another.